A flagship 18 courtroom legal centre will open in London with the remit of tackling cybercrime, fraud and economic crime. The aim is to "reinforce the UK's reputation as a world-leading legal centre," and of course crack down on this increasingly worrying malady of connected modern life. 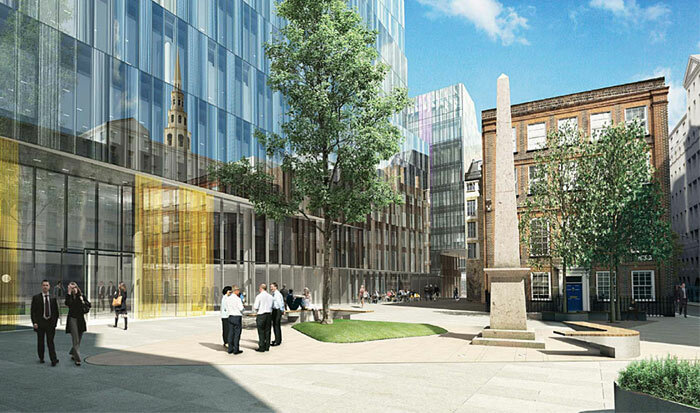 Fleetbank House, off Fleet Street, has been picked as the site of the combined justice centre which will feature 18 courtrooms and a new City of London Police Station. The location is a short walk from the Old Bailey and the Royal Courts of Justice. Once opened, the new cybercrime courts will replace the City of London magistrates' court, the Mayor's and City of London county court, and ageing civil courts. The government says that English law is currently used in 40 per cent of all global corporate arbitrations, and more than 200 foreign law firms currently have offices in the UK. It is hoped that the UK legal business revenue of £31.5bn (in 2016) will be bolstered by the opening of this centre, especially as the face of crime changes. The legal centre isn't expected to be ready until 2025 and planning permission is yet to be granted. Another important fact is that funding arrangements have yet to be agreed. I hope that the new cybercrime courts will be able to tackle the big fish; multinational and offshore tax dodgers, money launderers, lying and cheating corporations, and the likes - not just prosecute dodgy eBayers, and Pirate Bayers. For example, Roberto Saviano (journalist, and author of Neopolitan crime drama Gomorra), believes that "Britain is the most corrupt country in the world," and that isn't something that should continue online or offline. Mean tweets are serious business. Well they'll have a fine business. There were over 3000 people interviewed over “mean tweets” in 2017. Hope the cases brought to trial are rare, otherwise the tiny minority of Brits who could keep up with the technicalities of such cases would need to retire from their professions to become full-time jurors. Joe Public wouldn't have a clue.